The next few weeks are busy ones for us at 34SP.com with a refresh to our WordPress platform well underway. Our Technical Director Daniel Foster and our WordPress Platform Lead Tim Nash are both regular speakers at local and national technology events and WordPress events in particular. The next few weeks sees both of them out and about. You can catch Daniel speaking at Manchester WordPress User Group on the 17th February and Staffs Web Meetup on the 18th February, whilst Tim will be speaking at WordPress Leeds and WordPress Bristol. Both of Daniel’s talks are on “WordPress Hosting”, something we have bags of knowledge on! He will be discussing what options are out there from DIY through to using a managed service such as ours (other managed WordPress hosts are available). With his upcoming talk we took the opportunity to ask Daniel what he thinks is the one key thing for someone to look for when it comes to WordPress hosting. You can see Daniel at Staffs Web Meetup along side Darren Worrall & Alistair Henderson on the 18th February; tickets are available. A day earlier on the 17th February at Manchester WordPress Usergroup all are welcome; for details see the MWUG website. Tim is also out and about zipping around the country and this month he is on his two favourite subjects; Performance and Security. As the WordPress Platform Lead, Tim helps our customers every day with their performance issues and helps keep the thousands of websites we host safe. Tim will be at WordPress Leeds talking performance on the 23rd February with his talk “Waterfall and Unicorns”. Covering basic performance optimisation tips, starting with finding issues as well as some quick fixes that will work on almost every site. He will finish with some more advanced tips for developers wanting the last ounce of performance from a site. So without spoiling everything for us, we asked Tim what the one biggest “cheat” for improving our Google Pagespeed and YSlow scores was. Find out more about Lazy loading by coming along to WordPress Leeds on 23rd Feb; tickets available. 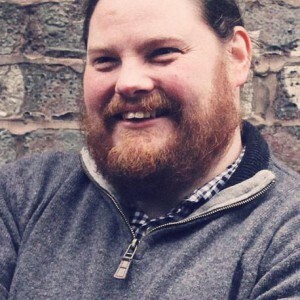 Then on the 1st March Tim will be at WordPress Bristol, this will be Tim’s first visit to the WordPress user group down in the city so he hopes you all will be friendly. Tim’s talk for WordPress Bristol is a modified for 2016 version of his “Peek-a-Boo I See You” talk, discussing simple security practices that will significantly reduce your chances of suffering a drive by hack. He will also look at what you can do if things go bad and your site does suffer a hack. You can join Tim on the 1st March; information and tickets are available from WPBristol meetup.